flat between 2014 (63.4%) and 2017 (62.7%). Overall, the majority of respondents expect hiring at their companies to increase moderately (46.3%) or stay about the same (34.3%) in 2017. 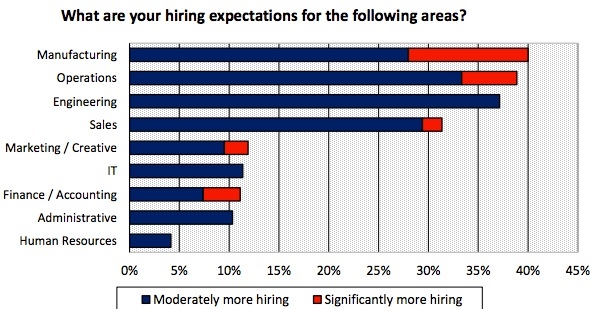 In fact, the combined percentage of respondents who expect either a significant’ or moderate increase in hiring was virtually identical vs. 2014 (53.8% vs. 53.3%, respectively). As has been the case in each of the three previous years, attracting qualified talent continues to be the most frequently cited human resource challenge for Houston companies. However, the percent of companies who site attracting qualified candidates as their largest staffing concern has slipped to 44.8%, the lowest level in the survey’s history. 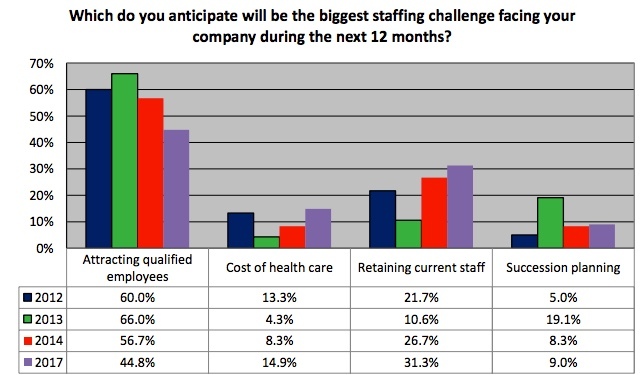 Retaining current employees is once again the second highest staffing priority for companies entering the new year – cited by an all-time high of 31.3% of respondents. The majority of Houston companies are entering the new year expecting to maintain similar hiring rates for most job functions. However, there does appear to be pent up demand for manufacturing and operations roles, as the Houston economy pulls out of its downturn. Approximately half the Houston employers surveyed are expecting to increase hiring of full-time workers in 2017. 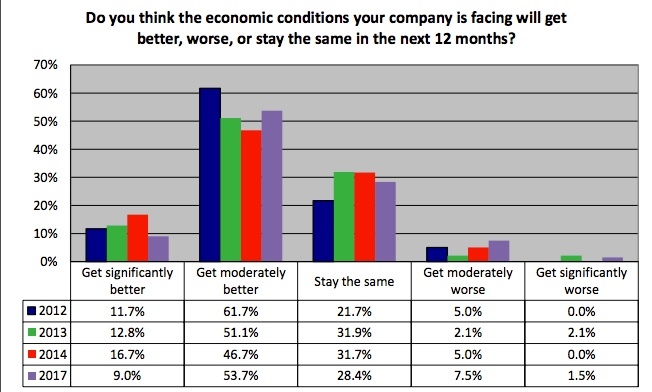 Approximately one in three respondents is anticipating a moderate increase in hiring for temporary positions, while only 23% of respondents expect to increase temp-to-perm hiring.